Qtx Light moonglow light effect kopen? 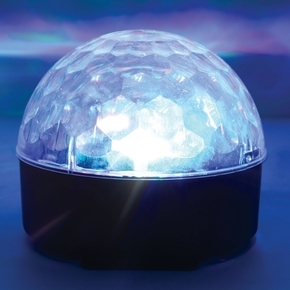 Tabletop LED light effect with 6 x 1W LEDs producing coloured beams which are diverted through a rippled dome to create a dynamic ceiling display with a sound sensitive auto sequence. The fixture can also be wall or ceiling mounted to shine onto a wall or floor for home discos and parties.